In order to participate in any CDMC event you are required to be the holder of a current Motorcycling Australia (MA) licence (as CDMC is affiliated with MWA who is affiliated with MA). MA licence holders are covered by MA's Group & Individual Personal Accident insurance policy. The type of licence you require is dependent on the type of event you wish to participate in. Effective immediately riders (junior or senior) who either are issued a free one day licence at a come and try event are able to trade in their one day licence for a free 3 month licence. This will provide the new licence holder with 3 months’ worth of opportunity to try out your club and the sport at any non-racing event as it will be valid at any MA club – subject of course to any club conditions. After 3 month the new licence holder will be able to apply for an annual licence if they wish. In addition, the free mini licence promotion will continue as before for junior riders. If a participating club offers a free club membership, MWA will provide a free 3 month MINI licence. Riders will need to apply for the licence on the special form provided to clubs. 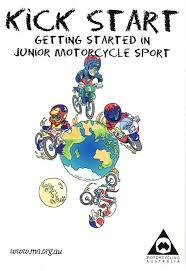 Further, MWA runs through our MotoSafe Primary Schools program a promotion encouraging riders to join clubs. This program partners clubs and MWA, through MotoSafe, to encourage new junior members to join. Participants at MotoSafe presentations are given a voucher that allows a free MINI licence from MWA for clubs that provide a free membership in their first year.